When Dr. Eric Strauss is not operating on hands you can often find him on his feet – moving about a dance floor caught up in the rhythm of a Latin beat. Strauss, chief of the Hand Section in the Department of Surgery for Virtua Health System, spends 10 hours a week or more on his dance regimen, including one to two hours of lessons, four hours of dancing, and two to three hours of strength training and conditioning at the gym. And then there is the shopping for dance clothes, of course. Strauss's passion is for ballroom dancing, Latin dances and swing. But dance hasn't always been such a big part of his life. 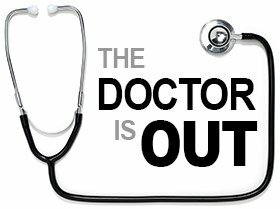 In fact, he never danced as a kid nor during his medical training and early years as a doctor. His interest wasn't sparked until one particular trip to Costa Rica in his 40s. Visiting the country to teach surgery techniques to local surgeons, he was out at a bar one night with colleagues and watched locals dance. He was blown away. “A couple of my friends asked me to dance, but I couldn’t master the moves. That is when I decided it would be fun for once to try something that wasn’t going to come easily to me,” Strauss says. Once back home, he started taking ballroom, Latin and swing lessons at studios in the New Jersey and Philadelphia area. His favorites are Latin dances like the salsa, bachata and merengue. Strauss, 63, who lives with his wife in the Queen Village section of Philadelphia, competitively dances and performs on occasion. Earlier this year he performed at a March of Dimes gala at the Golden Nugget in Atlantic City. Dr. Eric Strauss and partner Camille Ardary hold a pose at the Stardust Ballroom in Bellmawr. He took up the activity after watching locals dance during a trip to Costa Rica. While surgery and dance require strong communication and coordination, he finds their differences most striking. “Both depend on you being present in the moment, but in dance everything is very ephemeral, while in surgery what you do will last a lifetime,” he says. Strauss prefers the Latin dances because they are usually done with a partner. 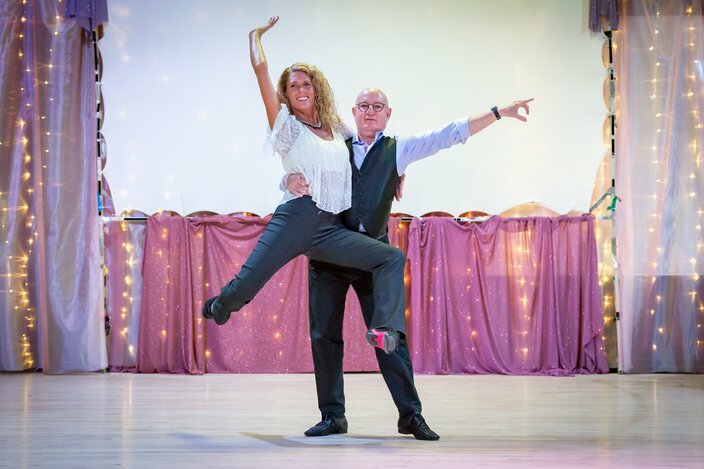 Strauss is a big proponent of people stepping outside their comfort zone and believes that anyone who has a desire to dance, should just do it – no matter their age or lack of experience. “It is important to remember that unless you are willing to look like a fool, you won’t get far in this world,” he said.